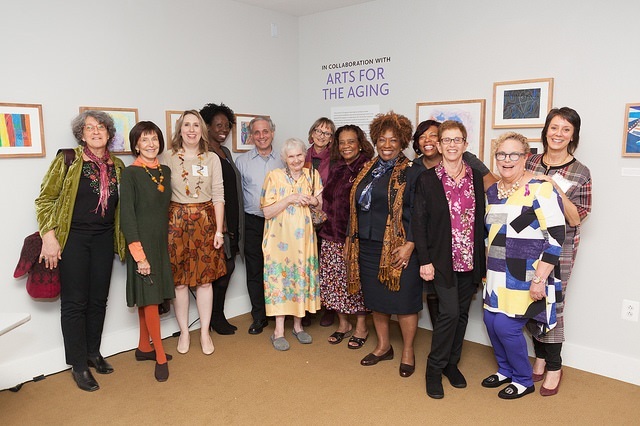 We marked another 30th anniversary milestone in 2018 with the mounting of a Creative Aging exhibition at the stunning Phillips Collection museum in Washington D.C. Works in the show highlight community partnerships that celebrate art and wellness. Art featured made by AFTA participants center around themes explored in the Phillips' 10 Americans: After Paul Klee show which we visited with older adult participants in our programs earlier this year. Visit the exhibition through December 31 by contacting Donna Jonte at djonte@phillipscollection.org. View photos from opening night here.